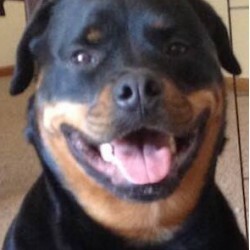 "When did you get here?" Emilia asked him, kissing him as she had when their lips were smooth and unwrinkled. The eternal throbbing beat below her breastbone. "I never leave," said Daniel, stroking her head with its scent of mysteries. Spanning almost 50yrs, this is the story of Emilia. The vast majority of the story takes place during the Mexican Revolution (1910-20) and does a good job shining a light on how discontent, injustice, and passion bring about such wars. Emilia's childhood friend, who grows up to be her love, Daniel, is more than full of passion for the war and constantly leaves and is at battle leaving Emilia. Their love story is one people in their younger years would find exciting, dramatic, lustful, and love torn; a lovestory that is exciting to read about but hellish to live. Emilia's father was a pharmacist, and she starts to study under him and grow her own passion but for medicine. She naturally and fights her way to becoming a doctor, no mean feat during this time period. She meets a Dr. Zavalza and love triangle ensues. I really enjoyed the first 70% of this, as we get a historical feel for the Revolution with discussion and interaction with Diaz, Madero, Zapata. I do wish we could have had some scenes from Daniel to get a feel for the battles but this look at it from ordinary citizens was encompassing in its own way, too. Emilia's aunt and a poet who is in love with said aunt, were my favorite secondary characters and I would happily read the aunt's life story, what a woman she sounds like. The last 30% was very rushed through as we get some of the conflict following the Revolution with Zapatistas and Cardenas with Daniel and Emilia continuing their relationship in a not thought of conventional way. Years pass quickly and Emilia becoming a doctor and having children is quickly told. This rushed ending kind of gave all the emotional upheaval and drama, I as the reader, went through less gravitas. 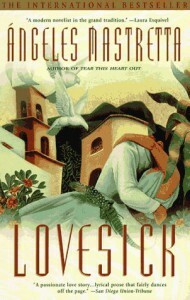 Lovesick couldn't be a more apt title as Emilia and Daniel's relationship wasn't exactly healthy. Daniel's passion for the war and how he constantly puts it above Emilia and Emilia's inability to let impulsive Daniel and his frenzy for fighting go in favor of Zavalza's calm supporting love will make you want to pull your hair out. The historical context was weaved expertly into the story and Emilia's life journey will definitely make you feel.